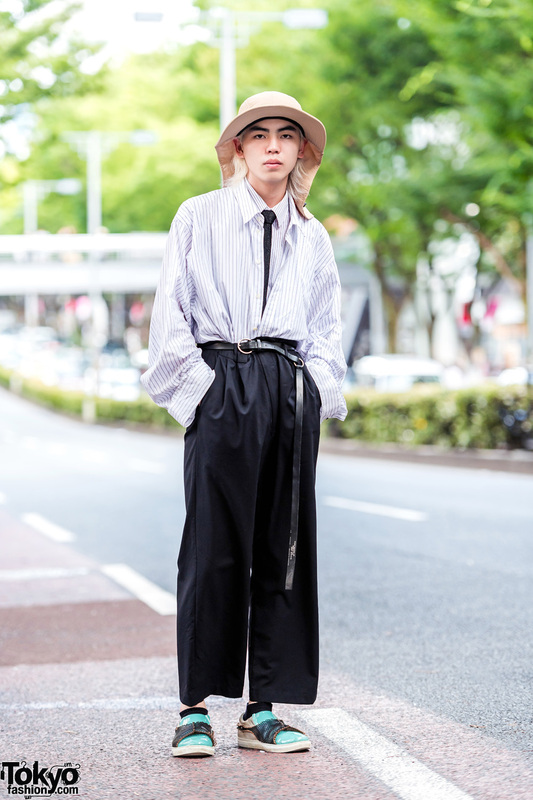 Japanese student wearing a striped shirt and a tartan skirt in Harajuku. 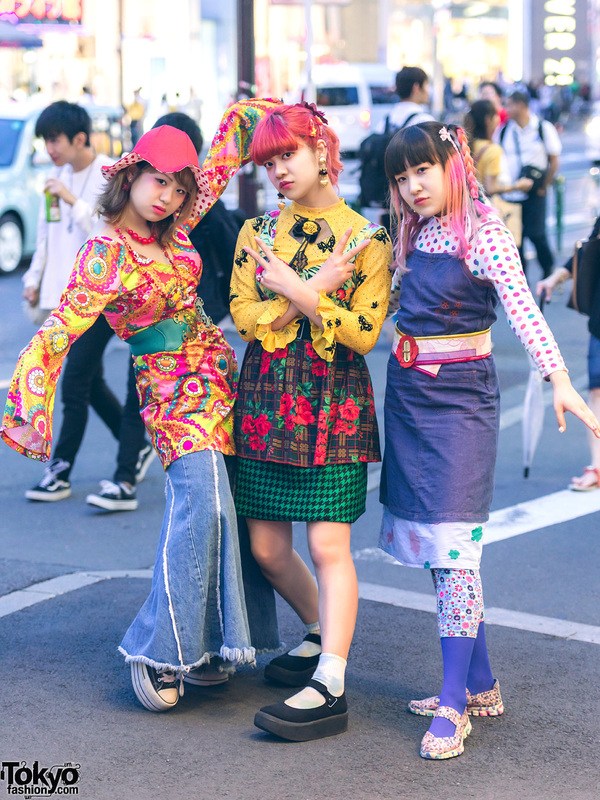 Harajuku magazine publishers in mixed prints and layered fashion styles wearing flared sleeve top, bell bottom denims, platform sneakers, layered tops over houndstooth print skirt, platform baby doll shoes, and denim jumper over printed tops and tights, and printed sneakers from a sporting goods store. 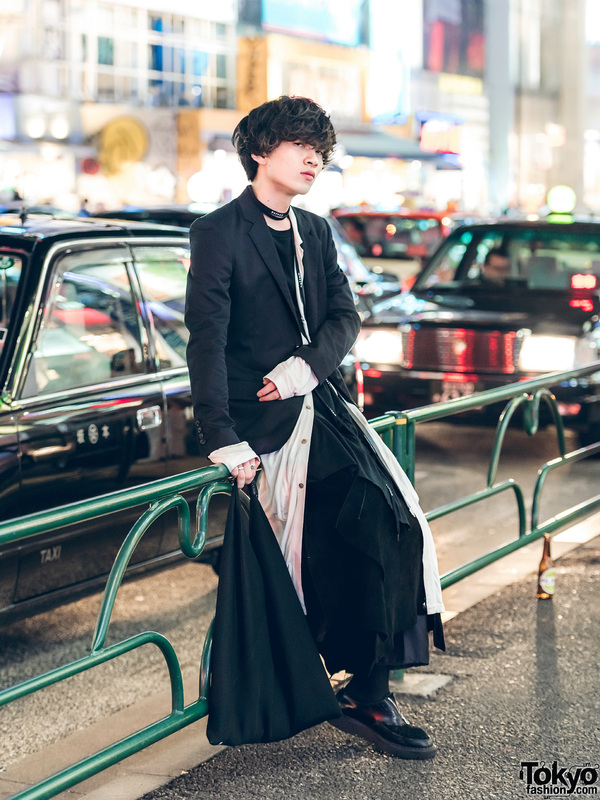 Japanese student showcasing a striking monochromatic street style in Harajuku. 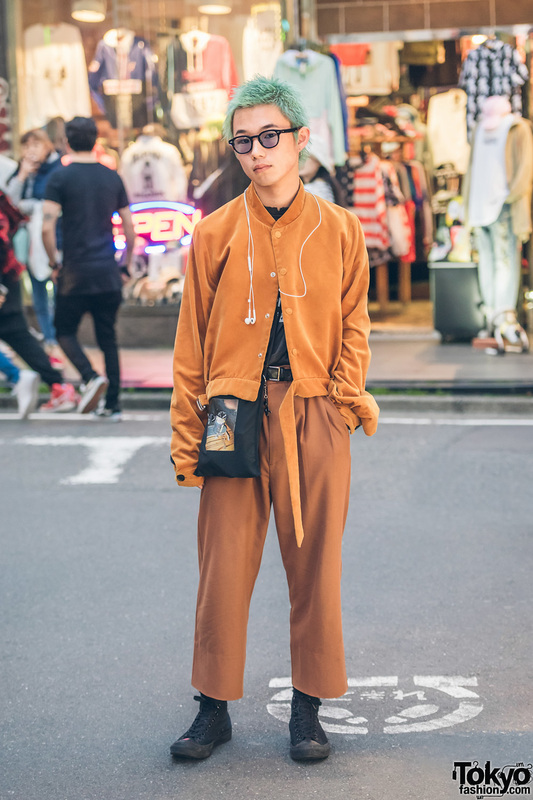 Harajuku aqua-haired guy in cognac colored fashion wearing jacket over shirt, cropped pants, sling bag, and high top sneakers.